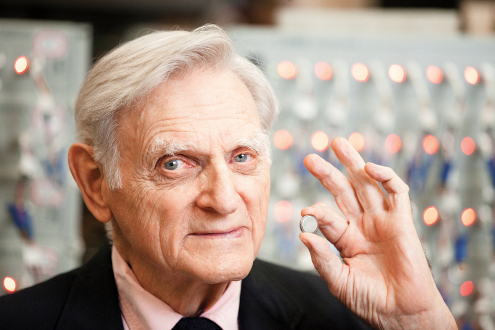 Over the jump, an open letter to the Chemistry Committee of the Nobel Prizes urging them at long last to award the Nobel Prize to Professor John Goodenough, who invented the lithium-ion battery. If you agree, you can email a message of support to the Royal Swedish Academy of Sciences at info@kva.se. I am writing to support the award of the Nobel Prize for Chemistry to John Goodenough, who invented the lithium-ion battery over 30 years ago. It is common knowledge that Professor Goodenough, now aged 94, has been repeatedly nominated and considered for the chemistry prize, and is certain to be nominated again. You already have all the information you need about his innovation as a piece of chemistry. I am sending you this open letter (which will simultaneously be published on my group blog) not as another chemist, since my qualifications in the field are negligible, but to remind you of some more general aspects of the case. You have undoubtedly had reasons for denying him the prize in the past. I imagine that these have to do with the quality of the relevant work as a contribution to the discipline, in deepening understanding of chemical processes, and opening up new avenues of inquiry. I will assume for the sake or argument that your judgement here is correct, as I am in no position to challenge it. Perhaps you have said: this is mere tinkering, not profound science. Again for the sake of argument, let us posit that the lithium-ion battery is rightly so described. – Electric cars and commercial vehicles are now well over a million worldwide. Their expected rapid growth is critical to the success of the energy transition and thus to our prospects of heeding Arrhenius’ prophetic warning in 1896 of anthropogenic climate change. 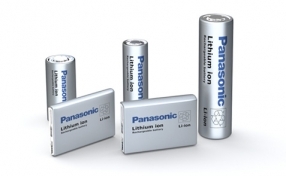 If these were not enough, Li-ion batteries are leading the way towards widespread home energy storage, leveraging the impact of solar panels and causing alarm in the boardrooms of traditional electric utilities around the world. They will also support the spread of solar electrification in the millions of villages where the poorest of humanity live. The basis of Alfred Nobel’s fortune was dynamite, another chemical innovation of negligible theoretical interest. We may all be sure that he valued useful tinkering. You are not originalists and the Nobel prizes are not awarded by guessing what scientists Nobel would have approved of. However the prizes he founded as a whole clearly reflect a catholic view of the work of the human mind. The literature and peace prices reward endeavours that are not in science at all. The prize for physiology and medicine rewards discoveries that advance human health. The later addition of economics by the Rijksbank is almost universally seen as an appropriate extension of the family, and as with the other prizes criticisms focus on the awards not the principle. I suggest that the general strategy and spirit of the Nobel prizes points to openness to applied as well as theoretical advances. Your colleagues in physics recognized this in 2014 when they awarded their prize to the three inventors of the blue LED, overcoming the barrier to white light and mass deployment of this efficient and durable lighting source. It might well be said: if Goodenough had not invented the lithium-ion battery that is embodied in these upheavals somebody else would have found it later, or a good substitute. True. But exactly the same point can be made about any scientific discovery, and every winner of the Nobel prizes in science. You write your chapter of the history of science wie es eigentlich gewesen, not straying into hypotheticals. The three scientific Nobel prizes serve a double function: as the apex of the professional reward system in the disciplines they cover, and as as the public face of that system, giving the world human representatives of the dedicated life that scientists admire. I suggest that the latter function is the more important. Disciplines like mathematics, linguistics, computer science and philosophy establish their professional pecking orders perfectly well without benefit of the Nobel Foundation. Where they can envy physics, chemistry and medicine is that the Nobel Prizes enjoy unique recognition among the general public. I would never write to the committee awarding the Fields Medal, and I am I think unusual in the population of social science graduates in knowing it exists. The public function requires the Nobel committees to consider the wider impact of their selections as well as the professional. It would be actively dangerous to foster a perception that the scientific community looks down on innovators like John Goodenough who change the world. Since the Renaissance, science has sought public support and, increasingly, funding on the basis of a double argument: knowledge is good for the soul (Plato), and will pay off in mastery of nature (Bacon). Both arguments are necessary, just as applied and fundamental research fertilize each other and resist compartmentalization. For a good many years, the threat to public support of science has mainly come from philistine technocrats who know only Bacon and reject Plato. Utility is all. In that world, it has been important to defend the Platonic value of understanding for its own sake, and reward blue-sky advances in theory without immediate application. But a new threat to science has arisen, from populists, demagogues, theocrats and hired publicists who deny the scientific enterprise as a whole, pure and applied. They reject its common values of respect for reason and evidence and its collegial and cosmopolitan procedures of challenge and scrutiny. 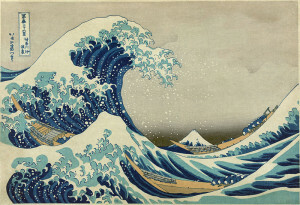 In this environment, science needs to close ranks and defend itself as a whole, theorists and tinkerers rowing together against the tsunami as in Hokusai’s great print. So I, along with many others, ask you to award John Goodenough the prize for chemistry while you still have the opportunity. Does the committee take at large nominations? If not, the best people to try to influence would be nominators. I am not a nominator for the chemistry prize, but based on what I know from medicine, likely all full professors of chemistry at Karolinska and other Swedish universities are, so you could write a letter to the chairs of those places. One other consideration for these prizes is can three or fewer people be given clear credit for the discovery? If not, no matter how great the discovery, there is no Nobel. I understand Goodenough has been nominated many times by the sort of people who do this, and my letter assumes he will be again. Is there an issue here on the numbers? It's more of a problem for Big Science like experimental particle physics, where the work on say the Higgs boson is carried out by huge teams. The main procedural issue is the fixed Nobel practice that awardees have to be living. So Goodenough's advanced age (incredibly, he is still working and publishing at 94) is important. If you know Swedish colleagues in psychiatry, I suggest you try emailing them if you agree with my case, which is not a specialist one. The Swedish intelligentsia is a pretty small world. They are heading for a mistake almost on the Mendeleev scale (blocked by Arrhenius).. The literature and peace people have made worse howlers: Kissinger was awarded the peace prize in 1973, Gandhi never got it, and the literature one ignored Kafka, Joyce, Tolstoy, Chekhov, Ibsen, Strindberg, Cavafy, Henry James, Zola, Auden, Borges, Proust, Brecht, Graham Greene, Nabokov and Mark Twain, among others. But you would expect the scientists to get it about right. The numbers thing is going to be an increasing problem with Big Science, but I am not sure if the Committee has the power to do anything about it – it might be in the will. It's long been my view that having to be living is the most unfair thing about the Prize, but again that's in the will. I wish everyone was eligible for up to 100 years after their birth. As it is, people who deserved it don't get it because they died young (Amos Tversky), some people get it because they just live forever, and people in developing countries have less chance because they have shorter life expectancies. "in recognition of his services in the advancement of organic chemistry and the chemical industry, through his work on organic dyes and hydroaromatic compounds"
I'm with ya, and for similar reasons I would like to see Hon Lik get the Nobel in Medicine. They should have given the medicine prize to Richard Doll: but then he was both an epidemiologist and a communist. Mandelstam? Brecht? Ibsen? They did give the prize to the sort-of conservative imperialist Kipling in 1907. YMMV but I don't get much out of Mishima, made famous by his grisly death. The Ockhamsson's razor explanation for the literature prize is parochialism. Is there evidence those guys lost because of their politics? The literature and peace prizes have become so excruciatingly political correct in recent years that I admit to not following them, and look down on the people who leak their nominations to make a sanctimonious statement about this or that, even though nominators are specifically asked not to do this. (To the great credit of the science and medicine prizes, this happens rarely if ever). There are of course politics in science including in who receives big prizes, but winning is still mostly about substance rather than fashion. BTW, the Nobels have not for some time been the biggest prizes in science in terms of cash, Still respectable though. You ate probably right on the history. However "you are betraying Alfred Nobel's intentions" is not an effective argument. "Times have changed and you should strike a new balance" struck me as a better line to take. Hopefully it will be Goodenough.